As we tucked evergreen branches away from our faces, stepped over pools of mud, and climbed the steep embankment by the creek, I didn’t know what to expect. 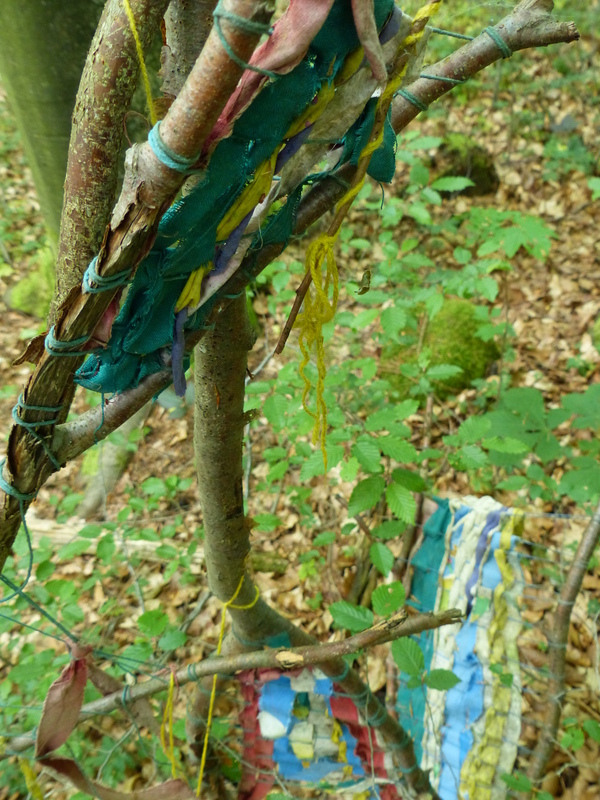 When the forest cleared slightly, it appeared we had stumbled upon a well-organized homeless camp, or, from the looks of the handcrafted objects hanging from the trees, a site for practicing traditional religion or witchcraft. However, this was certainly not the case. 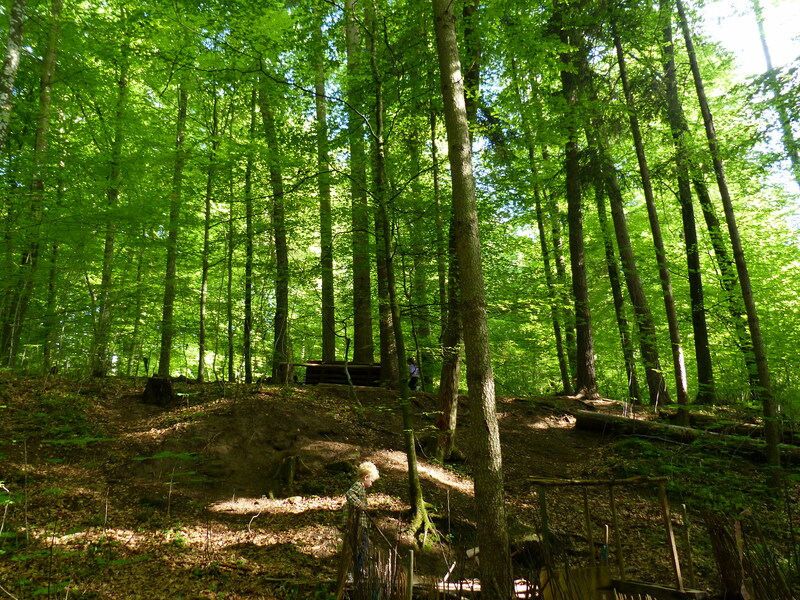 This was the German forest kindergarten – waldkindergarten. Notably absent at the site was plastic. 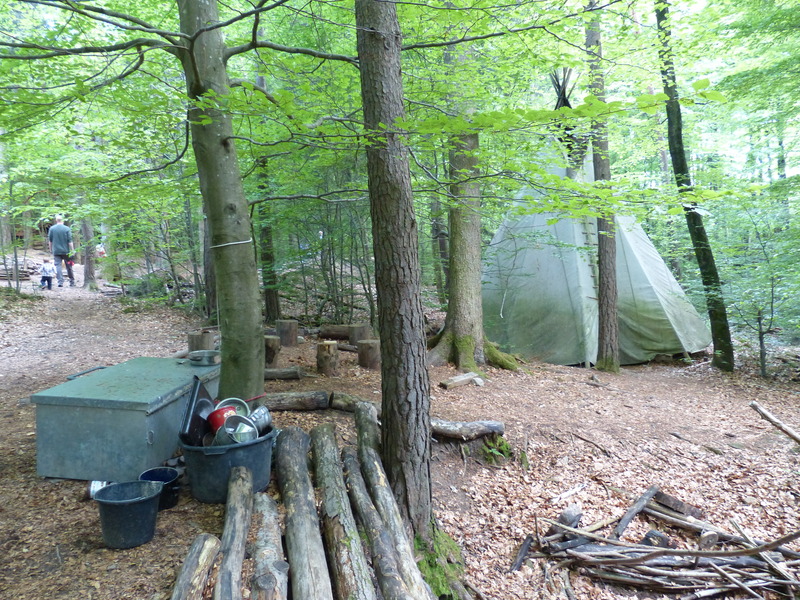 There were plenty of manufactured items – cooking pots, buckets, tin cans, fabric teepee, etc. But no plastic, much less plastic toys. The young daughter of our American hosts had attended a waldkindergarten and was eager to tell us about all the activities. Everything is conducted outdoors. Simple, wholesome and cheap, I thought, instantly romanticizing the concept. My kids would love this! Children as young as three-years-old will learn – after demonstrating the proper safety techniques – to whittle sticks with sharp knives, saw wood, create outdoor structures with hammer and nails and, in winter, probably even learn to make an igloo. 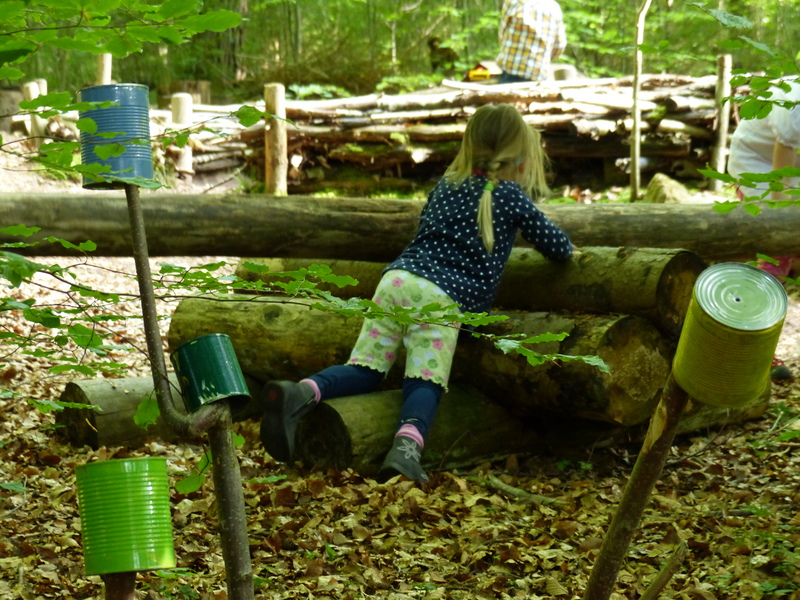 Waldkindergarten is one of the public school offerings in Germany for children who have yet to start grade school. So many questions arose as we explored the “school” with our children. Where do they go potty? A board is placed on two stones. At their leisure, the kids squat on the board and do their business with their hineys hanging off the side. The board is moved frequently so no place attracts a stench. No question is too personal for a kindergartener, so I asked “How do you wipe?” She shrugged and ran off into the woods. No question is too personal for a kindergartener, so I asked “How do you wipe?” She shrugged and ran off into the woods. What about the cold winters and rain? Don’t they get cold? This is the clincher. Waldkindergarten is expensive because your kid has to be dressed in the proper, appropriate, top-of the line gear to stay warm and dry. Galoshes, rubber pants, heavy down coat, the works. Fifteen dollar (or Euro) gloves won’t keep your kid’s hands warm in the winter. You’ll probably have to opt for the $50 pair. Just a fair warning. Speaking of cold, don’t they get sick being in the cold all the time in winter? Quite the contrary. Germs can’t survive in the cold either. And with a regular washing of rain, bad germs are kept at bay. Statistically, the waldkindergartners are sick less frequently than kids who go to the more traditional schools. Waldkindergarten sounded like a great idea to me. My kids could play outside all day AND learn important developmental skills AND it’s called school? Then my friend clarified. It’s not all day. It’s only a half day. BUT, after a half day of waldkindergarten, most kids take a long nap. Win-win! Wikipedia has plenty of information on waldkindergarten, if you want to know how it will make your kids healthier, stronger, smarter, less prone to injuries (because they know how to be safe and do risk assessment), less stressed, more agile and balanced and overall more successful in life financially, emotionally, relationally. . . Okay, that last bit is a slight exaggeration, though the literature on the subject might lead you to believe otherwise.